If you read my blog , you might know that this year is bringing a lot of "first times" for me :D. And today I am going to review my very first lipstick! yeaaa! This a lipstick which turned out to be not as I had expected it to be ! 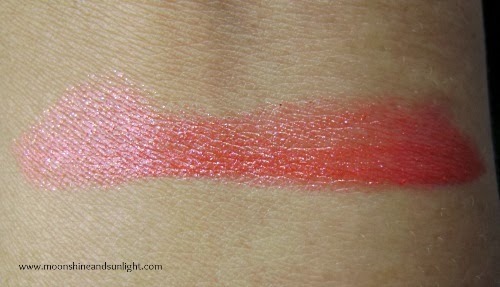 I saw this in the catalog and the shade in the catalog was a pinkish coral shade with glitters. But turns out the color in person is completely different. Not bad , But different! 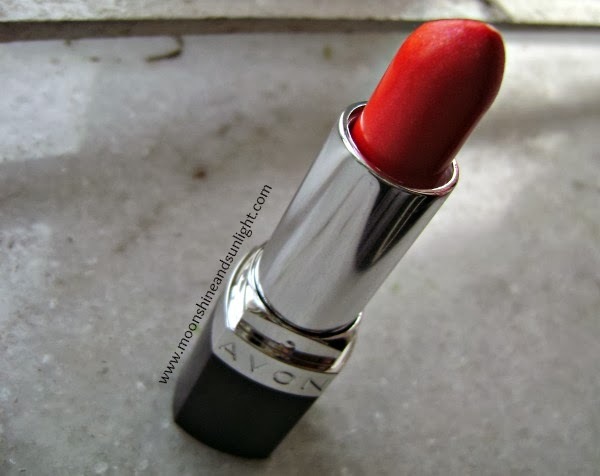 As you might think I was excited to try my first lipstick , I was actually very excited and after tryingI wanted to post the review , But got late.And sorry for that. This is a new launch by the company and claims to have intense color and nourishment. 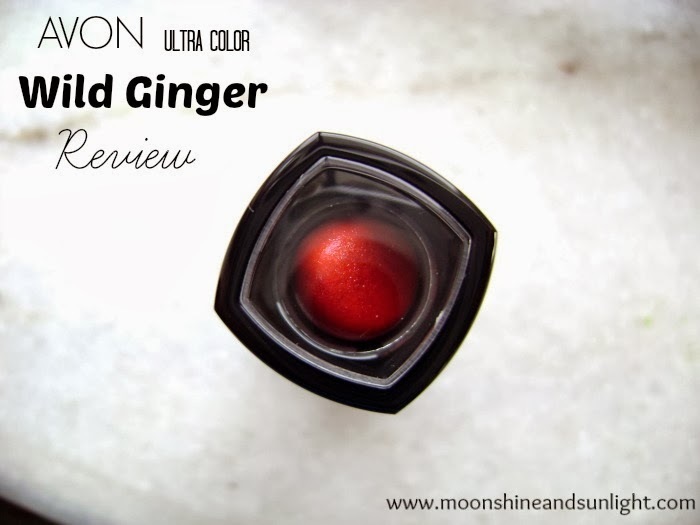 Coverage and color :- The color is orange with reddish undertones and a lot of glitters. I basically bought this for the glitters. 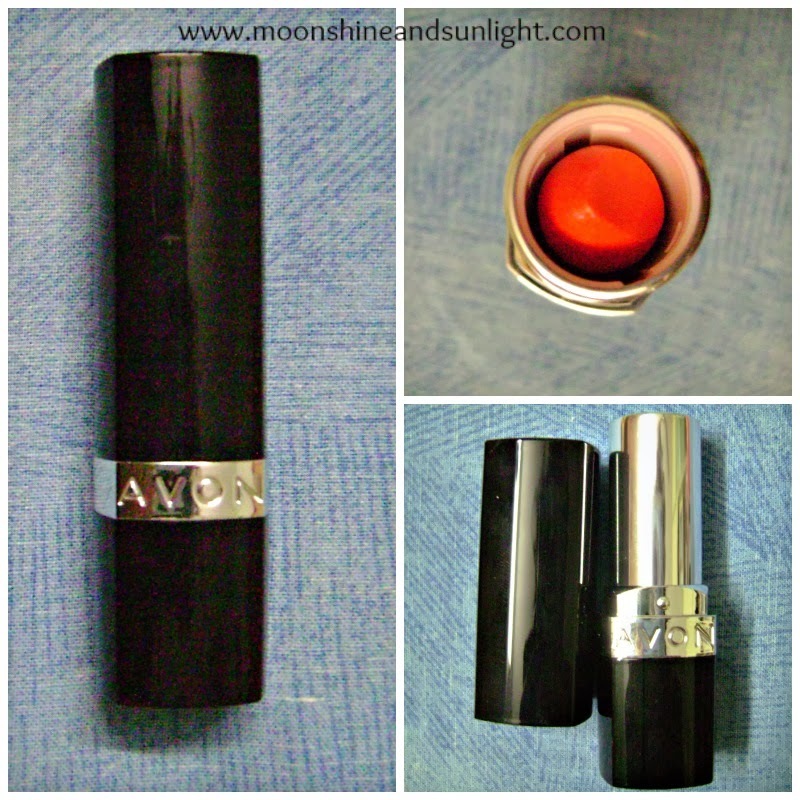 The coverage is extremely sheer and would not be a good option for ladies with pigmented lips. It does not quite deliver the color intensity promised. On lips it looks like red with orange undertone! The color in the tube is actually quite misleading. Needs at least three swipes to build up the color . Staying power :- This is also a little disappointing, cause it stayed on me for almost 2 hours , but the good thing is the glitters stayed on I liked that :D. Gives a matte-y look. 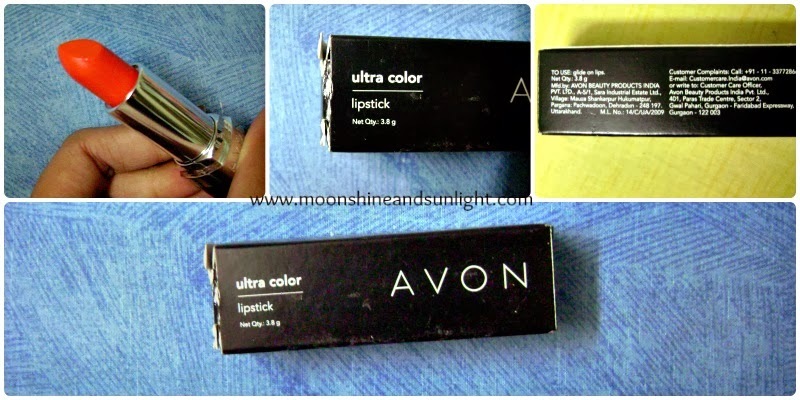 Texture:- this is good point as the lipstick glides and moisturizes the lips , has a creamy texture. Hope you liked the review. Have you tried out this range ? Which color?? I like the shade! Pretty one Priiii! :D, thanks soo much dear !! Such a bright n lovely shade. Lovely review dear! :) , yeah it is a little different ! Nice shade and very nicely priced too! What an eye catching colour? How I wish it did not have glitters ..